When it comes to choosing a vehicle, one of the most important aspects is making sure the vehicle delivers when it comes to safety. 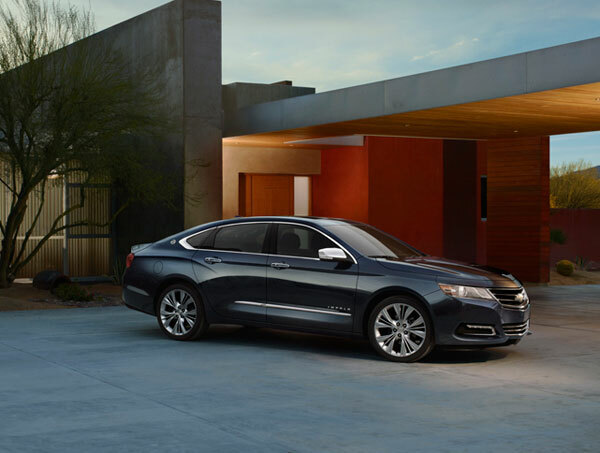 The 2014 Chevy Impala certainly made sure it hit all the right marks when it came to safety features. The company wanted to make sure that passengers felt safer than ever when driving in the vehicle. The Impala received several upgrades and has available feature such as Full-speed-range adaptive cruise control, Crash imminent braking, Forward collision alert, and Side blind zone alert. Another awesome feature that Chevy showcases in the vehicle is radar, which helps the driver avoid crashes. The vehicle comes with 10 standard air bags, and also other standard features that include OnStar, a rear vision camera, ulstrasonic rear park assist, and hill hold/start assist. The technology available in this vehicle is incredible! In a press release from GM, Gay Kent, GM general director of vehicle Safety and Crashworthiness said, “Safety is a key consideration for all car buyers, and Impala sets a new benchmark for Chevrolet’s flagship sedan.” Come check out the innovative new technology available in the 2014 Chevy Impala and experience for yourself the top-notch safety that earned the vehicle a Five-Star NHTSA Safety Rating.